These pictures are worth a 1000 words...and GORGEOUS being the best! 77 rolling acres are park like. 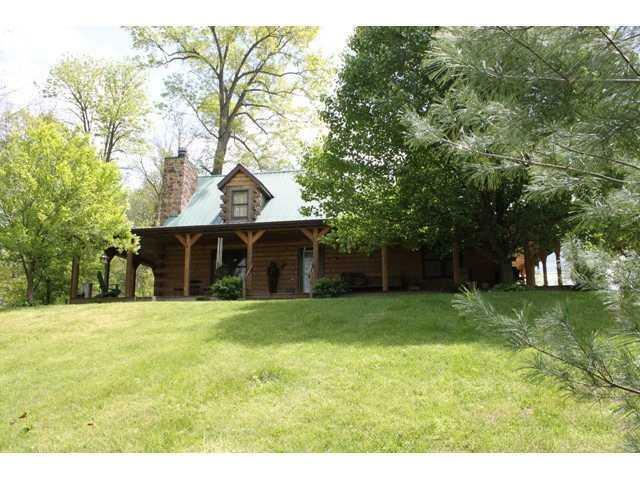 Amish built log home, 3BR, 2BA, top of the line appls, mstr bdrm suite, 2 sty with wrap around porch. Outdoor wood burning furnace. 10,000 SF barn with 15 stalls, indoor riding arena, tack room and bath facilities, multiple fenced pastures, hayfield, creek on property with covered bridge, 2 acre stocked lake with dock, second barn is 32X49 near front of property. Panoramic views just spectacular! Directions:SR37S to SR252E to Lenvoil Rd turn right follow to Voyles turn left, home will be on the right.